The history channel (co-owned by the hearst corporation) ran a two hour piece last week, entitled '9/11 Conspiracies - Fact or Fiction? ', in which the editorial staff of Popular Mechanics (also owned by the hearst corporation) were presented as 'experts', nobly 'debunking' various claims cherry-picked from among the thousands of unanswered questions, unaddressed concerns, unresolved anomalies of September 11th, 2001. The piece featured Purdue's CG simulations of the fluid distribution analysis from AA77 @ the Pentagon, and the more recent World Trade Center impact and core column damage simulation. 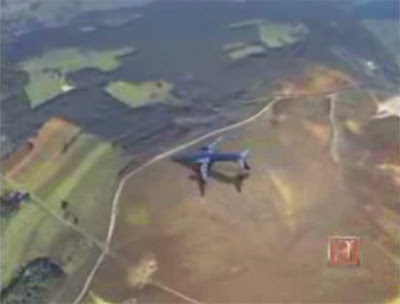 Additionally, two other CG animations accompanied the hearst corporation's presentations of the 'conspiracy theories' involving United 93, and American 77 and the occupants of Wedge 1 of the Pentagon. 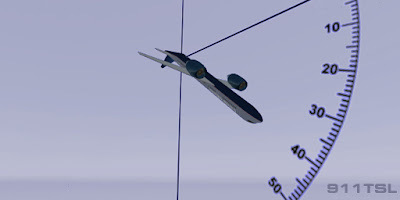 This entry focuses on the animation for the impact of United flight 93.
why bother showing such extravagant animations, if they're not going to be factually accurate? more 9/11 research coming relatively soon..